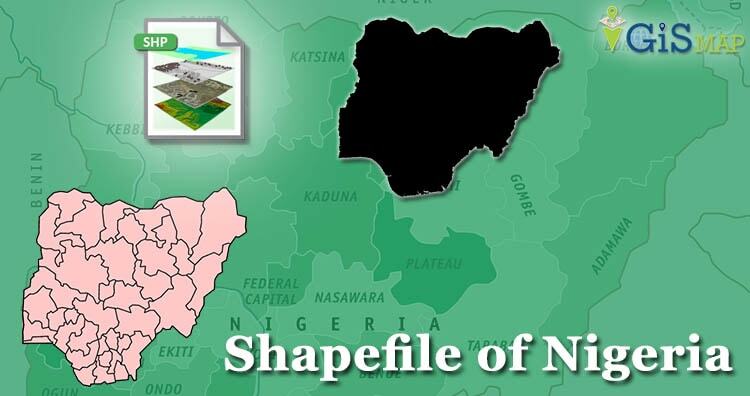 Download Nigeria Shapefile free. Koyo GIS professionals here in this post you will get free shapefile of Nigeria. Nigeria is an African country also known as Federal Republic of Nigeria. Nigeria is the most populous country in Africa. Below is the link for boundary line shapefile of Nigeria. All data available are in EPSG:4326 WGS84 CRS (Coordinate Reference System). Following are the boundary line map shapefile of Nigeria are available to download. It comprises 36 states and one federal capital territory, where Abuja is located. It covers the following states. You can easily convert Shapefile to KML using our IGIS Map Tool and vice versa. We try to cover all data exported from osm in shapefile. The data is provided and converted from osm to shapefile from open street map. All data are updated periodically once in a quarter year. Similarly you may ask or hire us to download a map of water, roads, polygon, buildings, parks, etcs of a specific Area from open street map. Disclaimer : If you find any shapefile data of country provided is in correct do contact us or comment below, so that we will correct the same in our system as well we will try to correct the same in openstreetmap. We are interested in Nigeria GIS map(s) to assist with the fight against insurgency.